Getting his start in Atlanta, John John Da Don has more than paid his dues throughout his eventful career in battle rap. Beginning in the ATL division of Grindtime, John John fought hard to distinguish himself from the pack while the division was still starting up. Weathering the barrage from battle after battle, JJDD eventually rose to prominence through match ups with the likes of Syd Vicious and Lottazay. Since then, John John has worked his way to both King of the Dot and URL stages, taking battles with Hitman Holla, Caustic, and Math Hoffa. Well known for his multiple choice schemes, John John Da Don makes his return to California to show that he still has something to prove to the battle community. One of the most well known figures to ever take part in battle rap, The Saurus established himself as a legend years ago, but has yet to stop putting in work for the scene. After first turning heads at Scribble Jam, which he won twice, Saurus went on to team up with Illmaculate and run through the World Rap Championships, also claiming victory both times. A progenitor of the multi-syllable heavy style of battling, the Fresh Coast native has spawned hundreds of copy-cats, but remains at the top of the heap for his artform. Having traveled the world throughout his career, The Saurus has squared off with some of the best around, including Dizaster, Dumbfoundead, and Pat Stay, to name only a few. 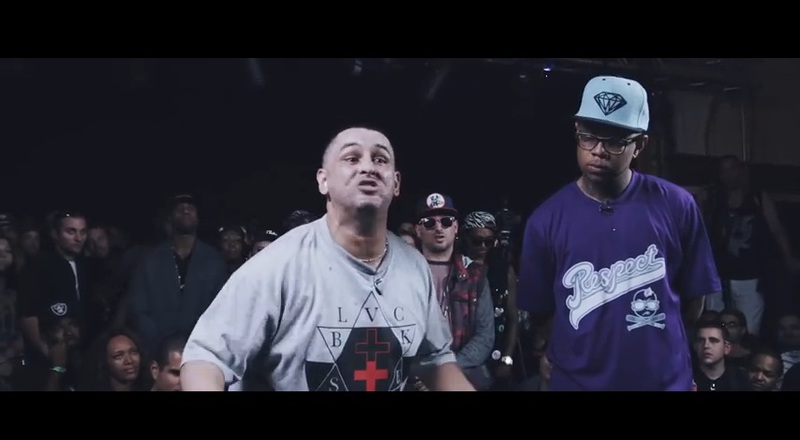 Back in California, the West Coast vet takes on John John Da Don in the next release from BOTB6. This entry was posted in John John Da Don, King Of The Dot, The Saurus and tagged Battle Of The Bay 6, Battle Rap Lyrics, John John Da Don, John John Da Don vs The Saurus Lyrics, king of the dot, Rap Battle Lyrics, The Saurus, The Saurus vs John John Da Don Lyrics. Bookmark the permalink.